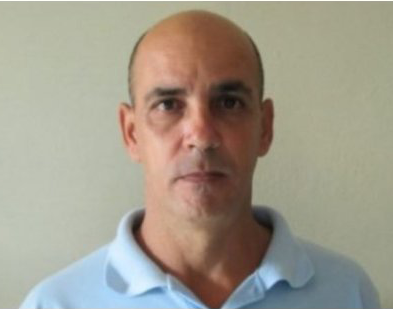 Raúl Velázquez, Cuban executive director of the Cuban Institute for Freedom of Expression and of the Press (ICLEP, for its initials in Spanish), has been missing for six days. Velázquez was last heard from on Feb. 1, when he spoke with the director of community media outlet Panorama Pinareño and ICLEP’s Monitoring and Evaluation Director at 7 a.m. and 9 a.m., respectively, according to ICLEP. At the time, he was traveling from the province of Artemisa to Pinar del Río. Velázquez was supposed to meet Ivis Yanet Borrego Paulín, director of Panorama Pinareño, for a meeting, but never showed up, ICLEP reported. “Everything was quiet, there was no police operation at the time he called me. It was only at around 10 a.m., in the park that is close to my house, that we saw some motorcycles with people who are not from the area and that looked like agents of State Security,” she said, according to the organization. The National Revolutionary Police Force (PNR) of Pinar del Río and the Technical Investigation Unit of the Political Police in Pinar del Río said Velázquez was not in detention with them, ICLEP reported. Late last year, the Political Police searched Velázquez’ home and he was kept in detention from Nov. 30 to Dec. 4. During that time, he was submitted to interrogations, according to ICLEP. He was released “under police investigation for the alleged crimes of spreading false news, receiving money from the U.S. government, clandestine printing and incitement to not attend elections for delegates to the municipal assemblies of the Popular Power,” ICLEP said. The organization added that the Political Police have watched him continuously. In May 2017, Velázquez was released by the Political Police without charges after 72 hours of detention. “ICLEP denounces the Political Police and the military junta commanded by General and ruler of Cuba, Raúl Castro, for the forced disappearance of its Executive Director Raúl Velázquez,” the organization said. ICLEP is a nonprofit founded to promote freedom of expression and of the press in Cuba. It has created community media outlets such as Panorama Pinareño, Cimarrón de Mayabeque, Luz Camagueyana, and more. Velázquez is the organization’s executive director in Cuba. The Inter American Press Association (IAPA) urged authorities to investigative Velázquez’ disappearance. Independent journalists on the island have reported harassment and legal action in recent weeks and days. During a Jan. 15 “interview” with State Security officials, journalist Luz Escobar was warned and threatened with prosecution, according to 14ymedio, the site where she works. It added there were also hints that pressure would be placed on her family. According to 14ymedio, officials also accused the site of being funded by the U.S. government, a charge it flatly denies. In late January, Cubanet reported that Iris Mariño, journalist for La Hora de Cuba in Camagüey, was accused of “encroachment of legal capacity,” an accusation previously levied on her colleagues Sol García Basulto and Henry Constantin. Four members of the Pro Press Freedom Association (APLP) were recently called to police stations and threatened by the Political Police, according to an organizational press release re-published by Cubanet. The APLP said officers condemned the organization’s work for the Universal Periodic Review (EPU), a process involving the review of UN Member States’ human rights records. And on Feb. 2, State Security agents threatened Diario de Cuba journalist Adriana Zamora and her partner, Ernesto Carralero Burgos, according to the same newspaper. “They ended up threatening us, saying that it is up to Adriana for her pregnancy to go well,” Carralero Burgos said, according to Diario de Cuba. The officials tried to deny they were being threatening. Reporters Without Borders (RSF) recently ranked Cuba 173rd out of 180 countries in its World Press Freedom Index.